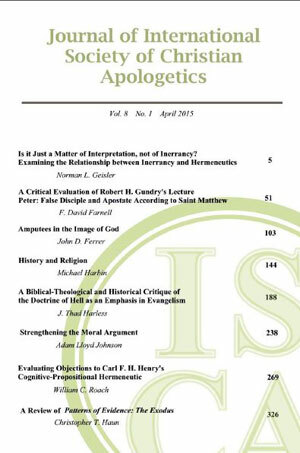 I am pleased to announce that the Journal of the International Society of Christian Apologetics is now available on-line for free download here. It has articles by Norman Geisler, Gary Habermas, Robert M. Bowman Jr, Ron Rhodes, Douglas Groothius and John Warwick Montgomery to name but a few. My thanks to Dr Donald Williams and Dr Winfried Corduan for making this possible. I would appreciate a subscription.